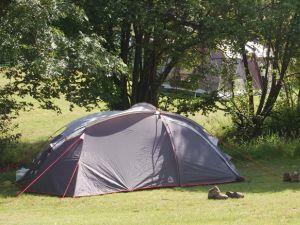 Lanefoot Farm Campsite Touring & Camping ParkLanefoot Farm Campsite is nestled into farmland beneath Whinlatter Forest. There are many walks and cycles which can be taken from the site, either into the forest or over the fells. Lanefoot Farm Campsite sometimes limits bookings to 2 or more days. Additional adults and/or children are charged separately. Tent on grass sometimes limits bookings to 3 or more days. We are situated between the villages of Braithwaite and Thornthwaite, approximately 2 miles from Keswick. From M6 Motorway exit at Penrith junction and head towards Keswick on the A66. After Keswick take the left hand turn signposted Thornthwaite and follow down hill for 0.5 mile. Lanefoot Farm Campsite is at the bottom of the hill on the left. mixture of grass and gravel paths.